It is a pleasant evening. 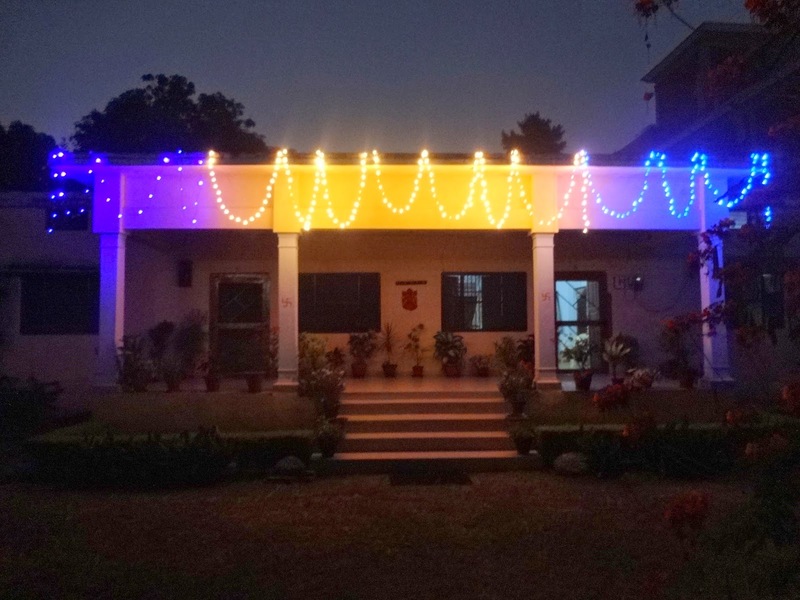 Houses are being spruced up for Diwali. There is frenzied shopping going on in the market. We, too, are imbued with the festive spirit. Though there is mindful buying at our end. 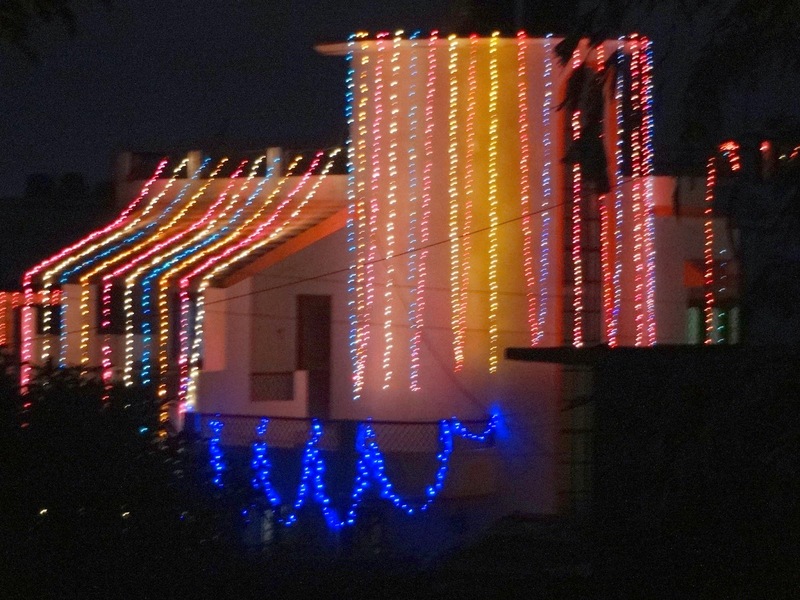 Houses around us are decorated with lights. Different colours, different shades and some blinking alternately while some in different patterns intrigue our kids. Post dinner we go to the terrace and walk around. Kids are very excited as they spot and count the houses shining bright. A group of bats fly overhead towards north, flapping their giant wings. They meld into the darkness. There is chill in the air…..a series of crackers go up making patterns in the dark sky, leaving behind a trail of white smoke. We scurry indoors before the smoke suffuses the air and pollutes it. Crackers are such a nuisance …….such a spoilsport. 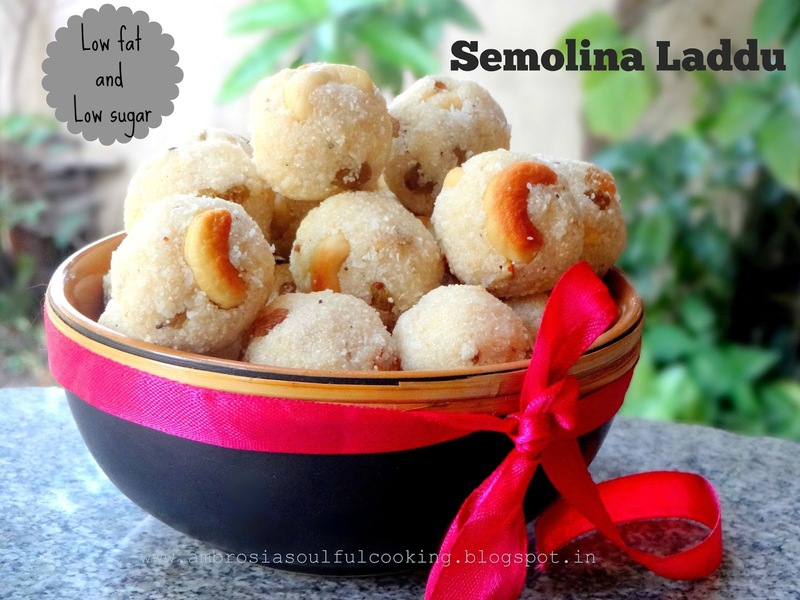 Yesterday I made Semolina Laddus. 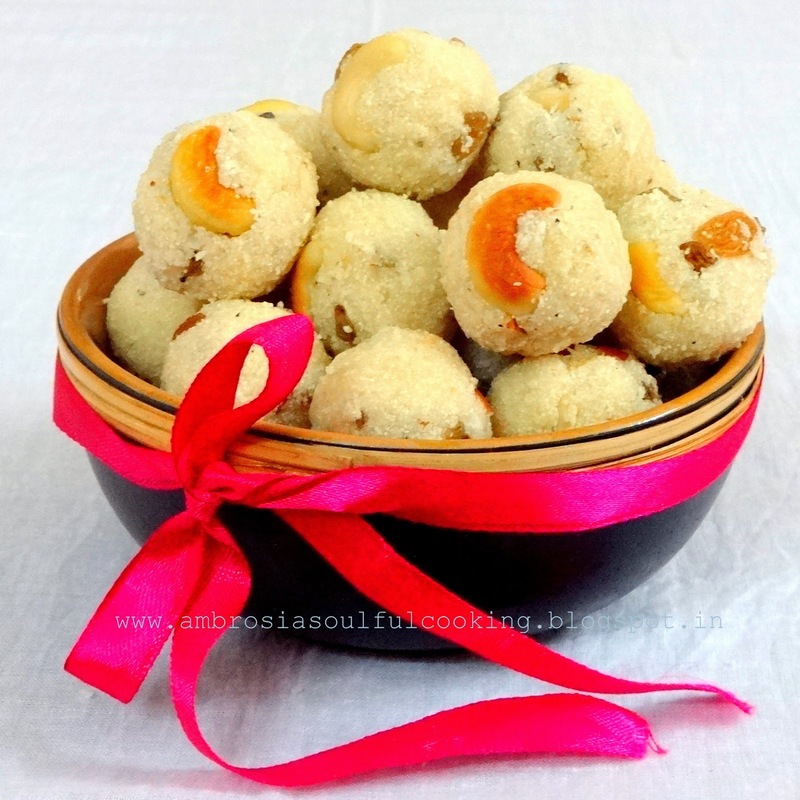 A recipe that is extremely popular yet made every year in every household during festivals. A recipe that does not leave you guilty as it has very less sugar and very less fat. 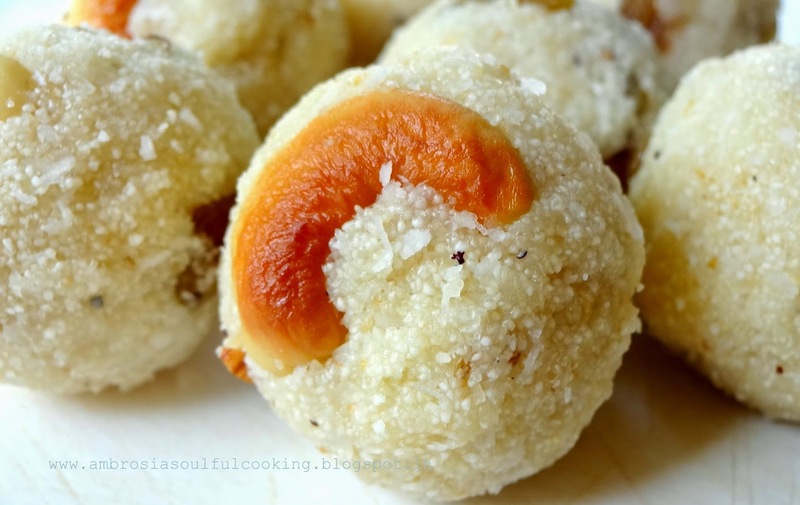 The laddus are mildly sweet, juicy and flavourful. Take a thick bottom steel wok. Add ghee, cashew halves and almonds. Roast on low flame and turn off the heat when the cashews begin to change colour. Add raisins. Stir for few minutes. Transfer the mixture to a plate. Take Semolina in the wok and roast on low flame. Turn off the heat when it becomes dry and gives out a sweet aroma and just begins to change colour. Add powdered sugar, desiccated coconut and cardamom powder. Stir well. Add milk to the mixture. Add 1/3 cup and stir so that the mixture is evenly moistened. Now add remaining 1/3 cup slowly. Test if the mixture can be rolled into balls. Add more milk only if the mixture feels dry and does not come together. Make balls / laddus when the mixture is warm enough to be handled. Make lemon size laddus by pressing the mixture tightly. Let the laddus cool. Store in an airtight container. Refrigerate the laddus.